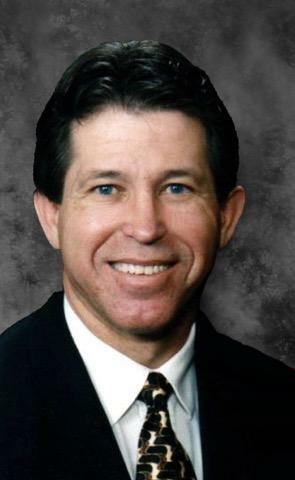 Don Locke, 65, of East Peoria, passed away at 5:55 a.m. Monday, February 11, 2019 at his home, surrounded by family. Don was born February 15, 1953 in Madill, Okla., to the late Kenne and Rogean Stallings Locke. He married Linda Cronin on March 8, 1975 in Oklahoma City. Surviving is his wife, Linda; their children, Austin Locke, Justin (Adrianne) Locke and Kristin Locke (John Cealey); grandchildren Madeline, Violet and Clara; and his siblings Kenneth, Leldon and Marcella Locke. He was also preceded in death by his brother Charlie and grandson, Dax. As a young man, Don stood out as a quarterback of his high school football team, a national award winner in 4H, salutatorian of his high school class and top of his class as a journalism graduate at Oklahoma State University, where he was also a member of Farmhouse Fraternity. Throughout his lifetime, Don enjoyed spending time with his family, especially coaching his children’s basketball teams, playing with his grandchildren and working in the garden alongside his wife. He will be remembered as an energetic and kind husband, father, grandfather, brother and friend, as well as an analytical and determined businessman. He will be dearly missed. A memorial service for Don will be at 2 p.m. Saturday, February 16, 2019 at Deiters Funeral Home and Crematory in Washington, Ill. The Rev. Tim Mitchell will officiate. The family will receive guests from 4 to 7 p.m., Friday, February 15, 2019 at the funeral home. A celebration of Don’s life will be at 11 a.m. March 2, 2019 at Nazarene Church in Tishomingo, Okla. In lieu of flowers, memorial contributions may be made to St. Jude Children’s Research Hospital or the Dax Locke Foundation.